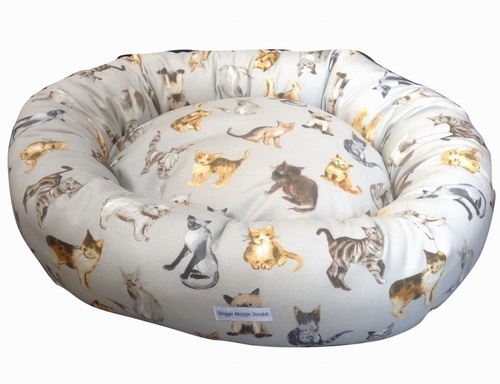 We designed our luxury donut beds with your cat and home in mind, we wanted to give your cat a warm and comfortable place to snuggle down for a good nights sleep and for the beds to look lovely in your home with our coordinating cushions/homeware designs. All our fabrics are luxurious and superior quality, they are hard wearing and machine washable at 30 degrees. Our donuts are generously filled with hollow fibre to give extra support, your cat can rest their head on the squidgy outer edge whilst snuggling into the deep filled mattress. The whole bed is washable but we have designed it with a detachable inner mattress which has a removable cover to enable it to be washed separately from the outer bed. You can purchase breathable waterproof liners for the inner mattress. 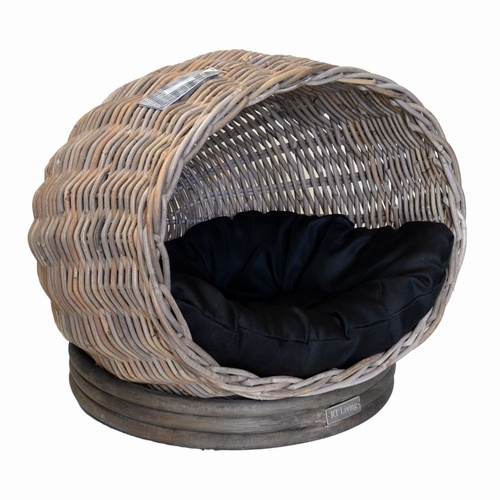 These Rattan cat beds have been carefully chosen, responsibly sourced from small suppliers and are handwoven from sustainable materials. 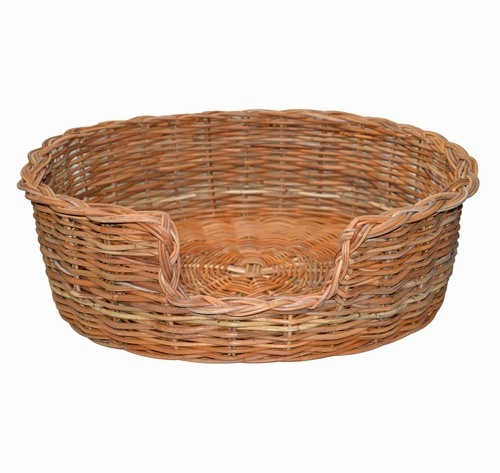 Rattan is much stronger than wicker due to its durability and resistance to splintering so ideal for your cats bed, rattan allows the air to circulate stopping your cat from over heating. These are not just cat beds they are fantastic quality pieces of furniture that will enhance any room.